Now that the warm weather is here, it is time to get ready for outdoor barbeques. Following is a quick checklist of things to have for outdoor entertaining. 1. A barbeque in good working condition. 2. Plenty of serving trays and plates. 3. Large pitchers for iced drinks. 4. Serving bowls for chips, fruit and snacks. 5. Coolers and ice buckets. 6. Lots of comfortable seating. 8. Decorative candle holders for light and atmosphere, and citronella candles to keep away mosquitoes. 9. Planters for lots of decorative greenery. 10. Vases for fresh flowers. 2. Take out what isn’t working in the room and replace with items from other areas of the house. 3. Add a fresh coat of paint. A clean coat of the same or a new color will refresh your room. 4. Add some new accessories such as vases, bowls, throw pillows or decorative art. 5. Change your lamp shades. A different style, color or shape will change the look in your room. 7. Change your wall décor. For example, add a mirror as a new focal point. 8. Curtains. Changing your window coverings can bring a new color into the room, dramatically changing the look of the space. Many inexpensive options are available at discount retailers and on line. 9. Look in magazines to find a look you like, then comparison shop on line to find similar looks for a less expensive price. 10. Add one new furniture piece. One carefully chosen piece, such as a new side chair or table can add interest in the space. Visit www.cheapchicdecor.com for more ideas on how to update your space. Is Your Dad Hard to Shop For? We Have Father’s Day Ideas! Is there a better gift than a tie for Father’s Day? Every man wants a comfortable chair to relax in. A recliner and ottoman is the perfect solution for that. 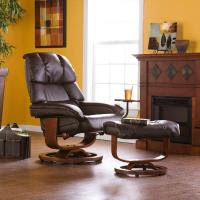 Pamper the dad in your life with a luxurious SEI Leather Recliner and Ottoman Set for Father’s Day. The ergonomic recliner and ottoman set features birch wood construction, bonded leather, a mechanism-glide system with a position lock and a 360-degree swivel. 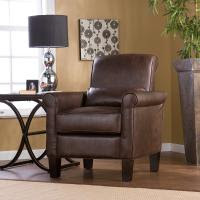 The recliner and ottoman also have an additional surface coating applied to the leather to make it resistant to stains. The set is ideal for everyday use, and the stylish design makes it great for any room in the house! The chic recliner set is available in three different shades of leather. This set is perfect addition for your living room, study or bedroom. Visit http://www.cheapchicdecor.com/ for more details and for other great Father’s Day ideas. You Can Never Have Too Many Vases! We love this Transitional Iron and Mosaic Glass Centerpiece Vase. This exquisite vase is crafted of iridescent mosaic glass, accented with an espresso brown metal base. It is perfect to hold fresh spring flowers. This striking vase is also a wonderful centerpiece for your dining or coffee table. 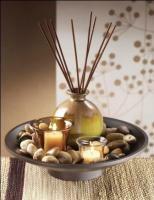 Use in your foyer to bring a warm and welcoming feel to your home. Visit http://www.cheapchicdecor.com/ for more details and to purchase this fabulous vase. Check out our article featured in ezinearticles.com which provides tips on how to decorate with sconces. We love storage baskets and boxes! They can be both functional and decorative. Storage baskets and boxes are a great way to organize your home and you! Use them to store children’s toys, craft items, magazines, your favorite throw blankets and much more. Place one on your stairs to hold items to be brought upstairs later. 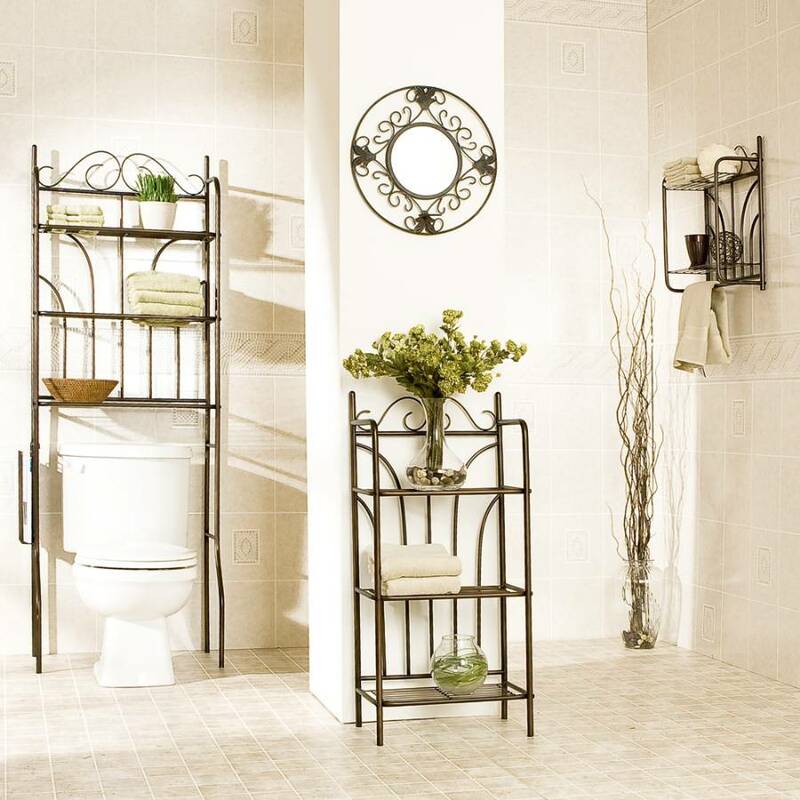 Use in your bathroom to hold toiletries, extra towels or toilet paper. They are also a great way to organize your desk. Display decorative boxes of different sizes in your living room or entry for a designer look. They come in different shapes, sizes and materials. Storage boxes and baskets are a fabulous way to organize your home and accessorize at the same time. 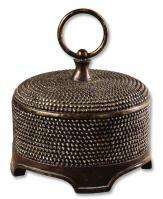 Visit http://www.cheapchicdecor.com/ for more ideas and great selection of decorative storage boxes and baskets. It is easy to bring a Tuscan feel to your home office. Tuscan decorating incorporates warm colors, ornate details, metal scrollwork and rich wood to bring a feeling of nature inside. The Old World atmosphere can be brought to your home office by the furniture you choose and the accents you add to the space. Colors that are traditionally used in Tuscan decorating include warm, rich colors such as mustard yellow, deep green, burnt orange and earth tones. Use these colors on your walls and in your accessories. Traditional wood and leather furniture are often used in Tuscan décor. Consider using a leather desk and side chair surrounding a dark wood desk. A bookcase will provide useful storage and display space. Richness is a key to bringing the Tuscan style to your space. Wood desk accessories, a dark wood or wrought iron waste paper basket next to the desk, and artwork in dark wood frames is a great start. Decorative accents such as maps on the wall, book ends, a globe, and interesting storage boxes placed on shelves and bookcases will enhance the look. A wrought iron chandelier will add a touch of elegance. Lamps with decorative shades will both accessorize and provide light for the space. Carefully chosen accents and furniture pieces will lend a Tuscan feel to your home office. The Old World look will compliment any décor and is a classic style for a home office. 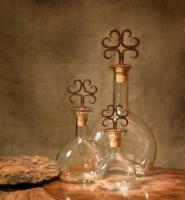 Check out http://www.cheapchicdecor.com/ for their large selection of Tuscan accessories and furniture. Feel like updating your home décor? The bathroom is an easy place to make some affordable changes. Some new accessories may be all you need to give your bath a face-lift. Wall décor such as a wall shelf will add both interest and storage options. New accents like wall art, soap dispensers, tissue holders, wastebaskets, towel racks and hooks, and a magazine rack are inexpensive ways to breathe new life into your bathroom. 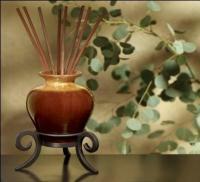 Create a relaxing, spa like feel to your space with a fragrant reed diffuser. Candles in holders by the tub will add a romantic touch. Decorative bottles and a vase for flowers will add a finished look to the space. Matching towels will complete the look. In short, adding some carefully chosen accessories and accents for your bath may be all you need to give your bathroom a fresh new feel. Visit www.cheapchicdecor.com for more information and to see the expansive selection of bathroom accessories. We love this Tuscan Glass Wall Pocket Vase! Wall vases are a great way to bring some color and a touch of nature to your wall. This wall pocket is a unique way to display fresh, dried or silk flowers. 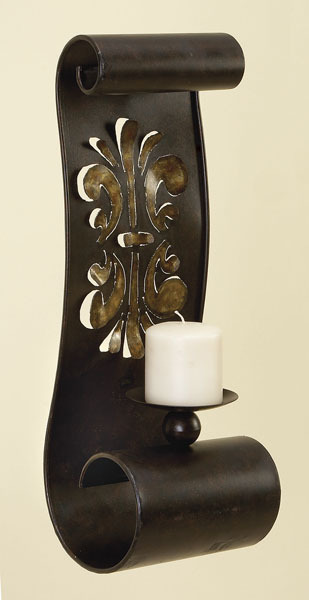 It is a stylish accent for your foyer, kitchen or bath. 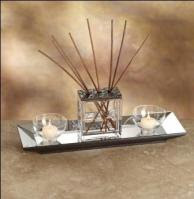 The decorative piece is crafted of a rustic espresso metal with a removable glass vase. Use alone or as a group for a designer look. Visit www.cheapchicdecor.com for more information and to see more unique wall planter ideas. Incorporating sconces in your wall decor is a decorative and functional way to dress up your space. Check out this Articlesbase article for more great tips.